TheTool Update: The Return of the Installs per Keyword and More! 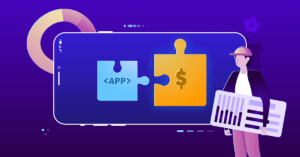 Here at TheTool we never rest – we have been building lots of big and small updates to make sure you’re having the best experience with your all-in-one App Store Optimization tool. We have made some big improvements in terms of infrastructure, stability and performance, and we have also added 2 new countries to work with: Ukraine and Iran. Now you can use TheTool to track and optimize your ASO in more than 93 countries and in ALL languages! 🌎 And last, but not least – we are ready for iOS 12! We know that you’ve been waiting long for this feature to come back – and finally, Google has released the report on Organic Search Installs in the developer consoles. This means that we are once again providing the data about the Installs per Keyword in TheTool dashboard. You can view the listing visitors, installs and retained installs and have the conversion rate calculated for each of your keywords. This feature is available for all our paid plans, and requires Google Play Store integration. To remind: User Acquisition Reports in Google Play Console are now providing Organic Traffic data split into Search and Browse, with a further breakdown of Search traffic, revealing the installs attributed to keywords used in Play Store Search. How to use this data to supercharge your keyword optimization strategy? Find out which keywords are driving organic downloads to your app or game. Focus on keywords that perform best in terms of downloads, conversion rate and user retention. Optimize indexed textual elements of your app accordingly (Title, Short Description, Long Description) and track the improvements. Benefit from the increase in organic installs! To learn more about the unique insights that you can get from this feature, read our analysis: Deciphering Google Play Store Organic Search Data: 10 Insights You Can Get from the Installs per Keyword Feature. An improvement that many of you have been asking for – to allow team members modify the data and work autonomously on different projects or countries within the same TheTool account. This is now possible with our advanced team member structure and new Team Manager role. Team Managers can edit apps, keywords and competitors, add console and tracker integrations, invite new team members and team managers, but have no access to invoicing information and can’t make changes to an existing subscription plan. Only Customer (admin) can access sensitive information and change the subscription details. To add more team members, go to User > Account > Team members. The advanced team members structure is now available in Growth and Ninja plans (with 3 and 10 team members, respectively). We have introduced a new way to export CSV reports of your data, and now you can chose the way you want to see your data: as rows or as columns. This will ease the challenge of preparing your internal statistics or working with third-party business analytics tools. Our export feature is available in Growth and Ninja plan! Sometimes small improvements can make a big difference – we have been polishing our existing features, and adding even more data in TheTool for you to analyze, optimize and take better decisions for your ASO strategy. Don’t miss our the comeback of Installs per Keyword for Google Play, new team members structure, exports, new countries and other improvements! Be the first to try out the new features!